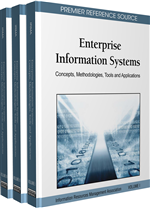 Business information system is an area of the greatest significance in any business enterprise today. Enterprise Resource Planning (ERP) projects are a growing segment of this vital area. Software engineering metrics are units of measurement used to characterize the software engineering products and processes. The research about the software process has acquired great importance in the last few years due to the growing interest of software companies in the improvement of their quality. Enterprise Resource Planning (ERP) projects are very complex products, and this fact is directly linked to their development and maintenance. One of the major reasons found in the literature for the failure of ERP projects is the poor management of software processes. In this chapter, the authors propose a Software Metrics Plan (SMP) containing different software metrics to manage software processes during ERP implementation. Two hypotheses have been formulated and tested using statistical techniques to validate the SMP. The statistical analysis of the collected data from an ERP project supports the two hypotheses, leading to the conclusion that the software metrics are momentous in ERP projects.